Provide Information About Patricia Lee Smith, American rock musician. When rock stars write, pens and keyboards hide; not in Patti Smith's case, however. 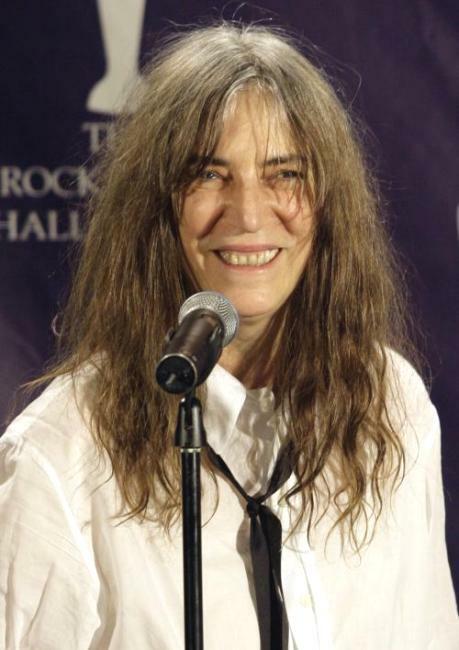 Patti Smith is a poet through and through, and I believe she is more of a poet than a musician. Her poetry is both concrete and abstract, yet powerful, lyrical, and poignant, and she can draw word pictures that come alive. This volume of poetry contains twenty-six poems with a quotation from William Blake, as if it were an introduction. The title of the book is also a quote from Blake. The book opens with an introspective poem, The Lovecrafter. I felt most any poet could relate to what is expressed in it. The Long Road spoke to me, but then Smith's poetry is powerful and it is impossible not to identify with lines like "We broke our mother's heart and became ourselves./ We proceeded to breathe and therefore to leave,/drunken, astonished, each of us a god. In The Pythagorean Traveler, can be felt something universally potent that seeps from the divine to the individual. The prose poem Written by a Lake is words making music while coming alive. The meaning skips between the tangible and the intangible without losing the wholeness of the piece. Birds of Iraq might have some political needling built into it; even so, it may be preferable to look at it on a wider human scale, at a country torn apart, violence smeared all over with gusto, and the sense of loss permeating beyond the loss of human bodies. Still, the poem is a protest against those who commit human rights violations. And never again/ will vision be so acute/ that dreams could/ produce blood/ a thorny path/ littered with wings. Our Jargon Muffles the Drum is another work of prose, a stream of consciousness piece that leaves the reader breathless through three plus pages; yet, the words carry the sound and meaning with music and a sense of relatedness. The Writer's Song is the last poem in the book. it is better to write/ than die is a reminder that writers are alive and related in living and that life and writing bleed into each other. Patricia Lee Smith or Patti Smith was born in 1946. She is a poet, musician, artist, and songwriter. With her 1975 album Horses, she gained fame for being the main influence on punk rock. She was inducted to the Rock and Roll Hall of Fame on March 12, 2007. She maintains that poets Blake, Stevenson and Rimbaud have influenced her poetry. Her published works are: Seventh Heaven, A Useless Death, Verlaine, Kodak, The Coral Sea, Babel, Early Morning Dream, The Night, Ha! Ha! Houdini!, Notes for the Future, Woolgathering, Wild Leaves, Patti Smith Complete, Strange Messenger. Selected Letters of Gregory Corso, and Auguries of Innocence. Auguries of Innocence is more than a major accomplishment; it is collection of poems that are insightful, fiery, affecting, and distressing. 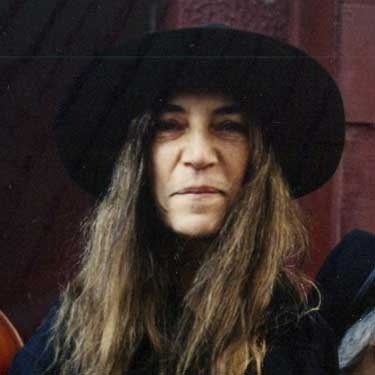 Patti Smith's poetry imposes upon the reader her intimate vision of the world, but then, moving the reader from the depths of sorrow to empathy and insight is what a true poet does. Patty Smith will give a concert in Rome at the music festival "in July sounds good." After Italy during the episode enchanting duet from Sanremo Festival in 2012, reviewing the footage September paired with Marlene Kuntz, Patty Smith in concert back in our country during the summer. This will be the event "in July Sounds Good" to welcome Patty Smith in concert in Rome, accompanied by his band: the show is scheduled on the night of July 20 at the Auditorium Parco della Musica in Rome Cavea. It's been five years since the High Priestess of Rock entertained the audience on the occasion of a recent edition of the Roman "in July sounds good", satisfy the audience with music, poetry, but especially with the charismatic and full of natural character of the magnet. Eclectic like some other figures of contemporary rock music, riding comfortably for thirty years the world of music, but also the freedom of art in its broadest sense, a leading figure in the intellectual level, in the round. Ticket prices have not been made ​​official for the Patti Smith concert in Rome: he will probably know more when the bill of artists participating in "July sounds good" is defined almost entirely.